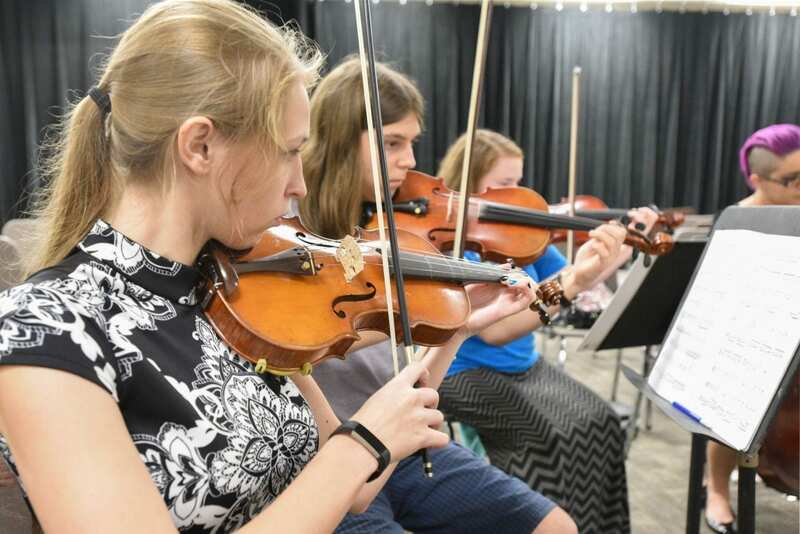 The sound of strings fill Polk State College’s chorus room – a sound the Music Department hasn’t heard for years. 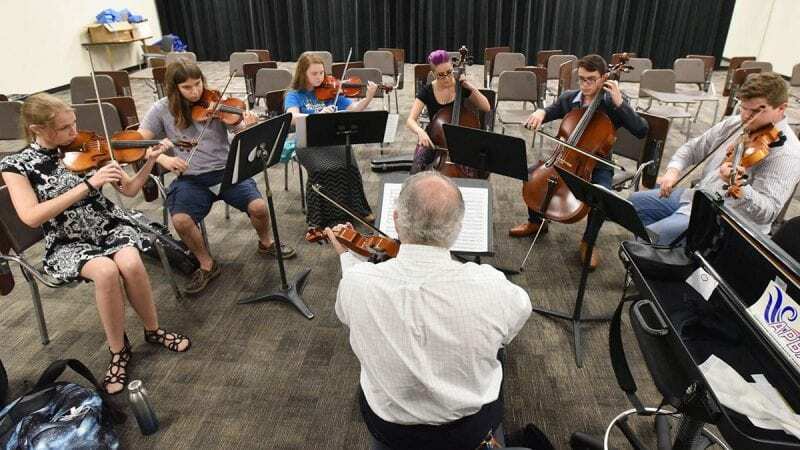 College, collegiate high school, dual enrollment, and early admission students gather twice a week to meet as part of the recently reestablished String Ensemble. The course is led by Arthur Pranno, an adjunct professor who teaches orchestra and International Baccalaureate classes at Bartow High School. 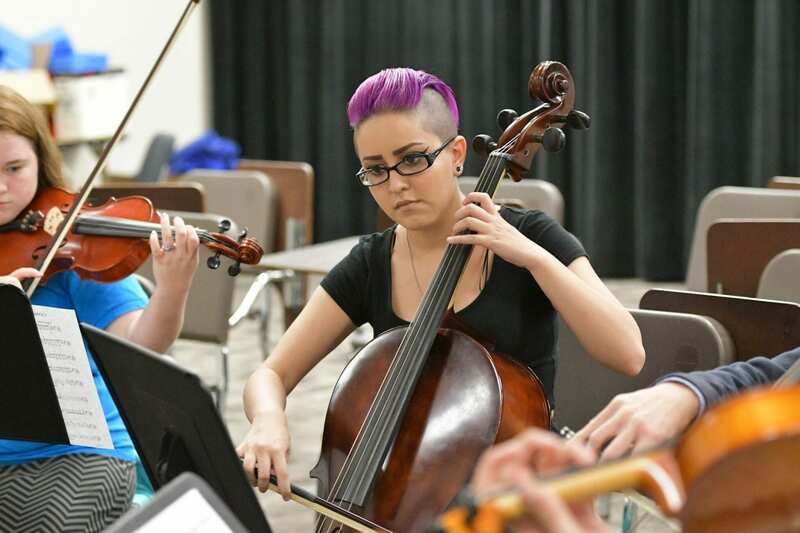 But Pranno is no stranger to Polk State or its String Ensemble. He taught the course in 1997 and felt called to start the program back up when he heard it wasn’t being offered last academic year. 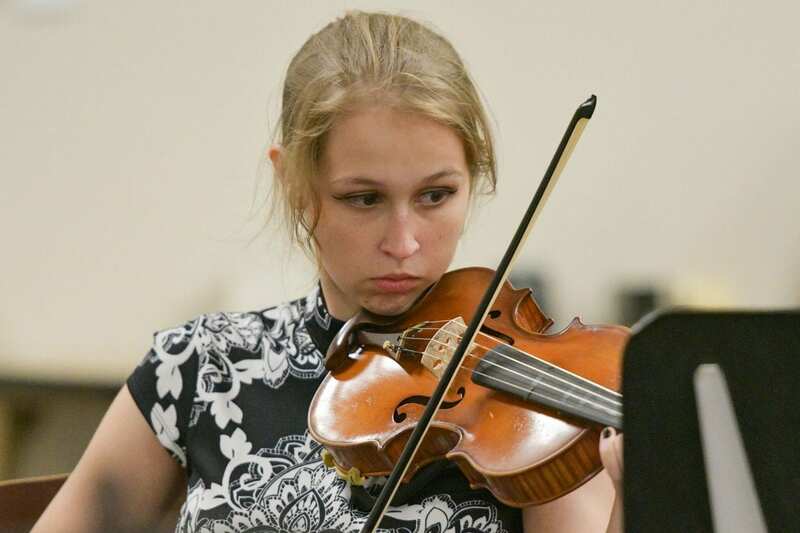 Polk State offers a handful of courses that allow students the opportunity to perform, including Men and Women’s Chorus, and Symphonic Band, but these classes aren’t the right fit for some students, members of the String Ensemble explained. Castro has played the bass since the fifth grade and took Pranno’s class when he was a senior at Bartow High. He explained that the String Ensemble is a small group made up of members with different levels of experience. 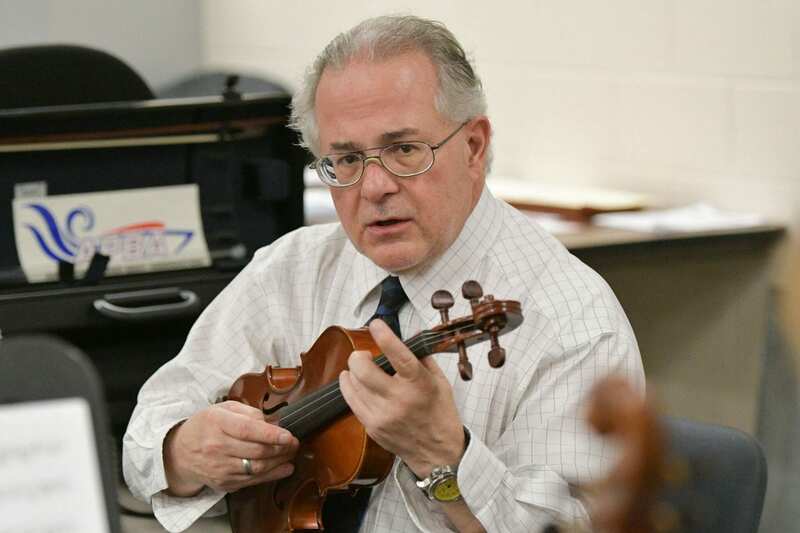 They are each equally dedicated to their music, however, and have reached a consensus that Pranno is one of the greatest instructors they have ever had. 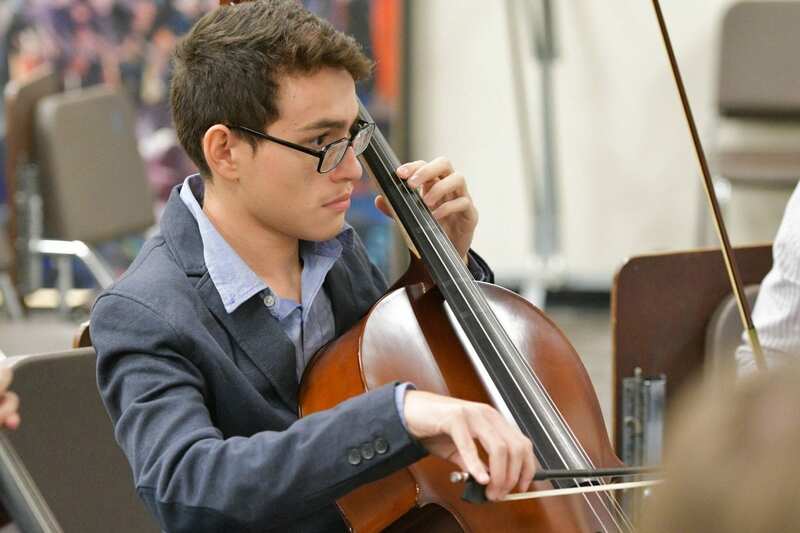 For Brian Salazar, a dual-enrolled, early-admissions student from Ridge Community High School who plays the cello, he wouldn’t be at Polk State if it wasn’t for Pranno. With the small, homey atmosphere of the course, Pranno is able to work one on one with the students to hone their skills, Salazar added. 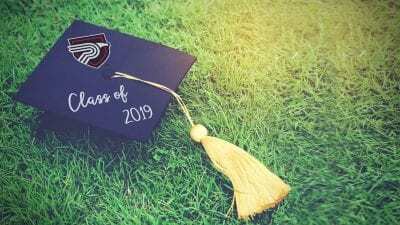 Madison Sellers, a dual-enrolled student from Winter Haven Christian School, echoed a similar sentiment. Her favorite is Mozart, but Pranno introduces the students to a wide variety of music – from Beethoven to Vivaldi. “Polk State has something that nowhere else has. 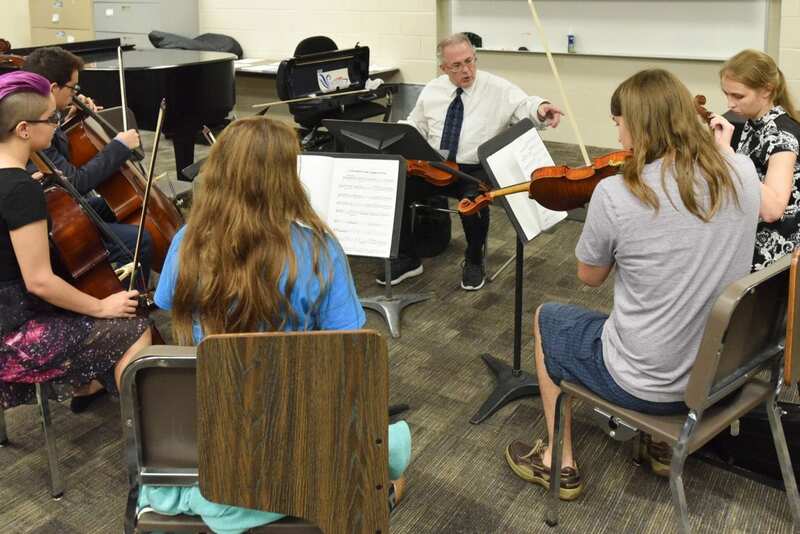 It’s a place where students can get their Associate in Arts degrees, jump start their college careers, incurring little to no debt, while also receiving a world-class music education,” said Arthur Pranno, adjunct professor who teaches String Ensemble. 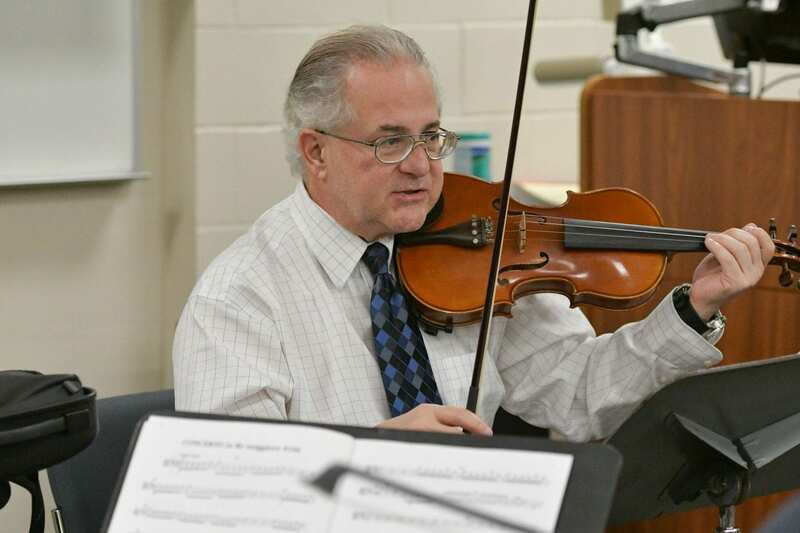 For Pranno, it is just as important to teach students an appreciation for music. Pranno brings nearly 30 years of experience to the program. He taught music at the college and university levels for 17 years before joining Polk County Public Schools. He has served as associate conductor and concertmaster of the Imperial Symphony Orchestra, conductor of the Florida Symphony Youth Orchestra, and conductor of numerous all-state and all-county orchestras throughout the U.S., among many other positions and achievements. 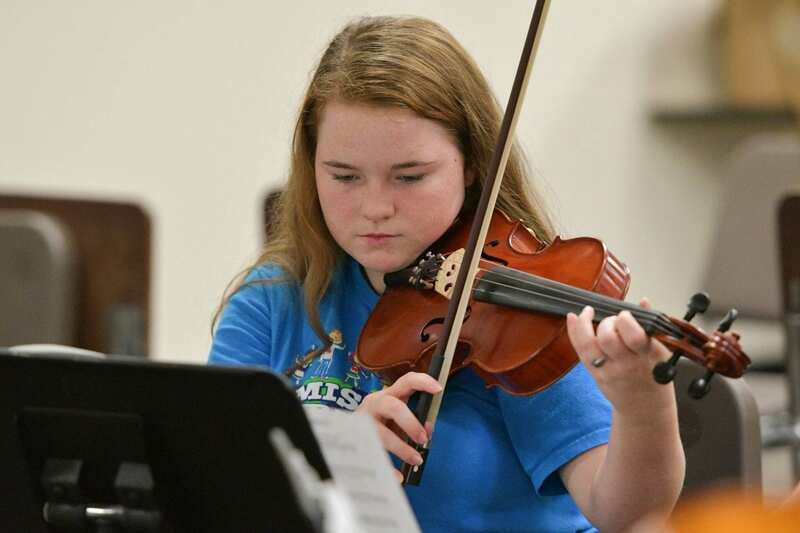 Pranno explained that the String Ensemble is an important opportunity for students to practice skills that they will have for the rest of their lives, even if they don’t pursue careers in music. 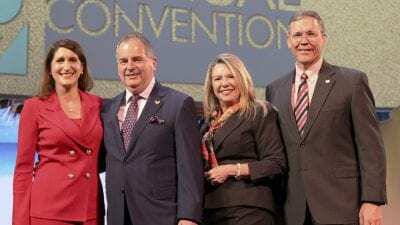 That’s true for Andie Ulysse, a dual-enrolled student who takes classes through Florida Virtual School. She wants to study political science when she goes to college. Julia Dimmer, a Polk State Chain of Lakes Collegiate High School student, shared similar words of encouragement. And many people have already had the opportunity to enjoy the sounds of the String Ensemble. 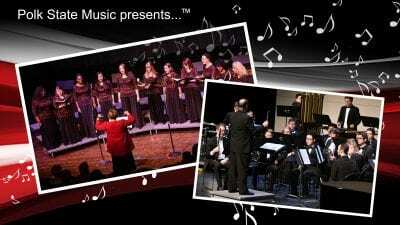 The group performed at the 2017 FallFest and Winter Gala Concert.